From the Hinterland: Winter collection. 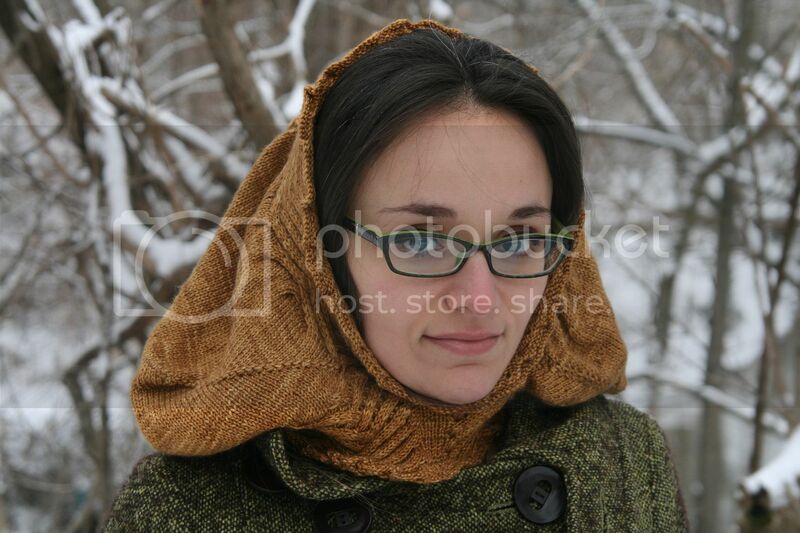 Part cowl part hood, Winter Coronet keeps you warm while outside in the winter. Worn up, the beautiful interwoven cables are snug around your ears, acting as graceful earwarmers while also keeping the wind from sneaking down your neck. Worn down, the hood adds plenty of extra fabric around your neck and shoulders; much appreciated when the temperatures drop! Knit from the top down, Winter Coronet is a seamless design featuring short rows, cables, and gentle increases at the crown for a voluminous hood to warm you this winter!